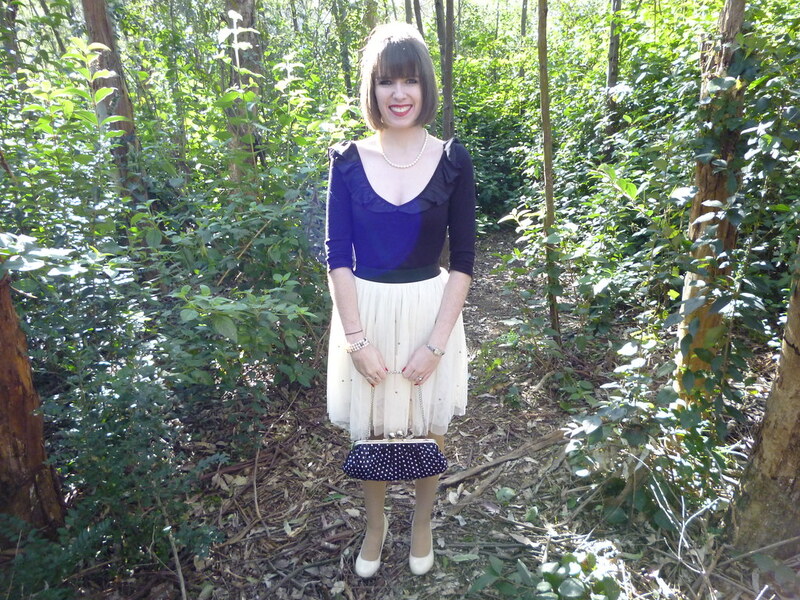 This weekend I finally decided to wear my Modcloth Atmospheric Ambience Skirt which I posted here.This is definitely one of my favourite skirts and I am looking forward to wearing it to many occassions. It is one of the most successful purchases I have ever made. It was so incredibly windy all weekend so it was hard to take pictures and I was surprised I was even able to take any at all. In my next post I expect to show one of my DIY cardigans that I have been working on these holidays. 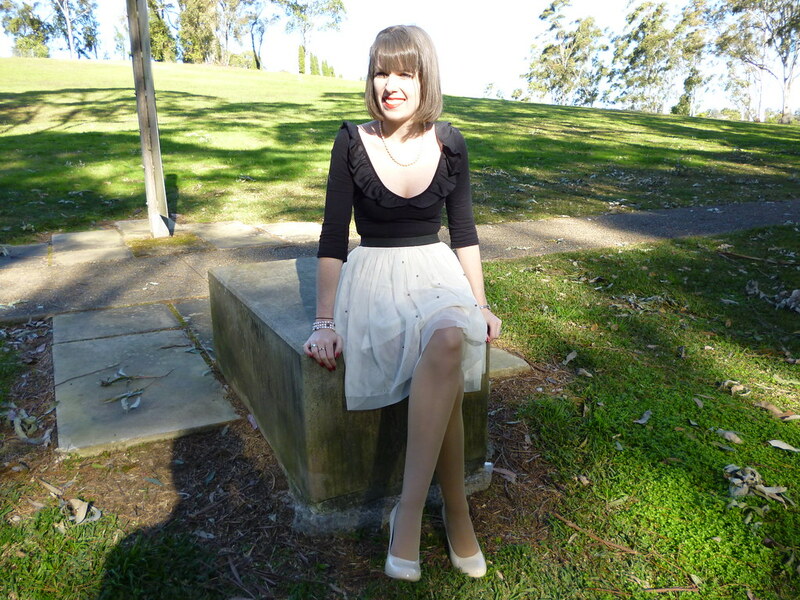 This entry was posted in Forever New, Outfits, Tie Rack, Wittner. Bookmark the permalink. the skirt is wonderful, so feminine and i love it! that is a super cute skirt!!! good purchase, i agree! That skirt is beautiful, so pretty you look like a ballerina. I love this outfit! A very pretty skirt you have there, and your handbag is really cute. Looking forward to seeing your DIY. Awww you look like a ballet dancer/fairy. So sweet. I also love the shoes from Modcloth. I have yet to find the perfect thing to make my first purchase from there. 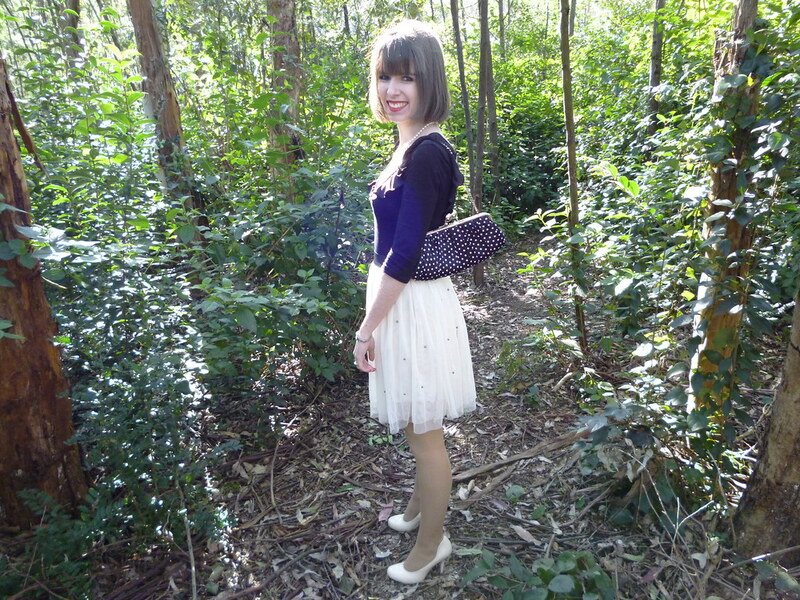 Loving your new skirt and that adorable clutch, too! I agree – you look like a ballerina in these photos – so pretty! You look sooo romantic!! I love your skirt!! I love the short skirt and long sleeve combo..you look so pretty! The skirt is gorgeous!! I totally agree with the other commenters — You are rocking the ballerina look! that skirt is like a ballerina I love it!!! so whispy and feminine. 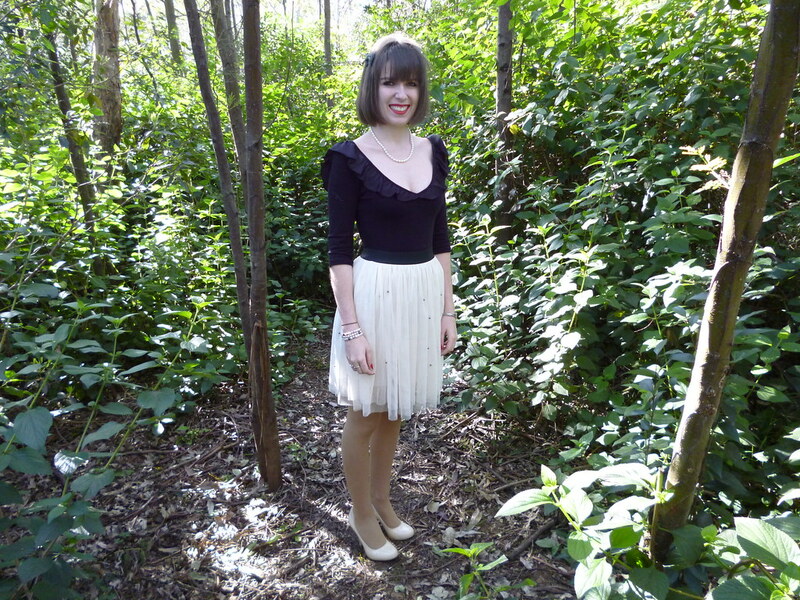 I love modcloth so much! Okay that skirt is all sorts of gorgeous! Love it, looks great on you! Oh you look so elegant, like a little doll! Love the skirt on you! Wonderful look. I love the pairing of the body suit with the flirty skirt. Been wanting to become a follower but the Google Connect button is hidden. Actually it's hidden on my blog too! This skirt is gorgeous! I love how you've styled it. I'm excited to see the diy cardigan! your skirt is really cute! absolutely love the ballerina look! That is a reall cute skirt! That's my kind of neckline! Good for showing off jewelry. I love your outfit! The sheer on the skirt is so much fun, and I LOVE the fun little detail on the back of your heels. That skirt is stunning, and it looks amazing on you. I wish I could wear that kind of skirt! This is such a pretty outfit! The ruffles on your shirt are just divine.